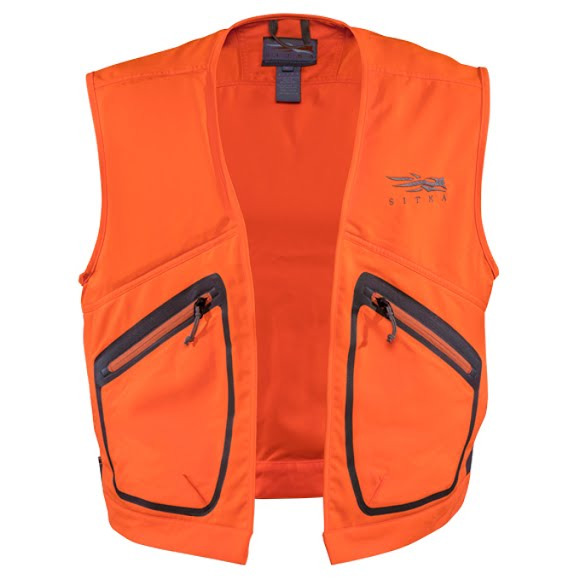 Your orange vest should offer more than just the required inches of color. The Sitka Gear Ballistic Vest makes shooting more comfortable with a reinforced foam shoulder pad and is treated with a Durable Water Repellent finish, making it an essential part of the Sitka rifle season system. The vest runs a little small and the zippered pockets are high and not easy to access quietly, not very convenient. Also, the security ink tag was left on the vest when it shipped to me and I live in Ohio so I had to find a store that could remove it for me. Best vest I own. I would recommend this product to anyone. Size runs true.